When a pastor resigns, it usually comes as a shock to most people in the congregation. It often brings a lot of questions. Why does he want to leave? Did we do something that made him want to leave? Is there any way we can change his mind? Is he going some place "better" or some place "bigger?" Why now? Did someone or a group of people drive him out? These are all legitimate questions, because they are rooted in confusion and grief. And when a pastor resigns the congregation goes through stages of grief. First there is shock, then denial. Anger or resentment can sneak in too. Someone might say, "Fine. If he wants to leave, let him go. We are better off without him." But such anger is just a symptom of grief. The pastor doesn’t see any progress in his current church. The pastor feels like he is unable very often to do what he does best. The pastor is discouraged and doesn’t feel he is getting the affirmation he needs from the congregation. The pastor is tired, burned out, and/or in need of rest and refreshment. As the reality settles in, you will begin asking, "What do we do now when our pastor resigns?" Here are a few thoughts. Keep in mind that your pastor and family will be grieving too. Yes, they are the ones who are leaving. But that doesn’t mean that it is easy. They will be dealing with feelings of loss – loss of friendships, loss of the familiar, loss of the ministry they love. They may also be feeling guilty for leaving. They may feel like they are abandoning those they love. What can you do to help? Love them. Send them a note that expresses your sadness that they are leaving but let them know that you fully support them in their decision. Help them pack. If they have small children, offer to babysit while they pack. Provide meals since their kitchen will probably be all packed up. Give them hugs where and when it is appropriate. Assist with finances if needed. After your pastor resigns, conduct an informal "exit interview" with your pastor and spouse. Ask about the joys of ministry. Ask what broke his heart. Ask what they feel was their ministry’s best accomplishment. Ask how your church can improve. Be careful with this, though. If your pastor is leaving under difficult circumstances, an exit interview can easily degenerate into a time of venting. Nothing is accomplished by this – the end result will just be hurt people. Don’t be too obvious about starting a new pastor search. Most give a one month notice when a pastor resigns. You won’t lose anything by waiting to start the process after your pastor leaves. You don’t want to make your pastor feel like you are glad to be rid of him. In the weeks after the resignation, schedule guest speakers for several weeks following your pastor’s departure. That will give you time to determine if you need an interim pastor. Hold a going away service and lunch/dinner. Take the time during the service to have your pastor and family come to the front. Pray for them. Pray for God’s direction in their future. Pray that they will have an exciting ministry or retirement or whatever they are pursuing. Have someone talk about the pastor and family. Allow people in the congregation to stand and say what they appreciate about your pastor and family. This process will allow your congregation to grieve together – something absolutely imperative. Hold a "moving party." On the day of their move, gather at the pastor’s home ready to load a truck. Grill hot dogs or order pizza. Let the tears flow. Give and receive hugs. Send your pastor and family away with a celebration, not a funeral. 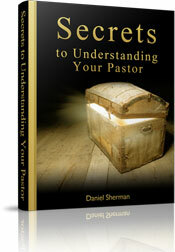 Take a special offering and present the proceeds to your pastor. There are always extra expenses in moving. There are things that no one expects. Even if your pastor’s new ministry is paying for the move, there will still be expenses not covered. Send them on with financial help. Allow them time to get settled into their new ministry before you contact them. Your pastor’s new church is excited for his arrival. Give them time to get to know each other before you send cards or call them on the phone. The first service at your church after your pastor leaves will be difficult. There is a hole that can’t be filled. It will be a hard day. It is appropriate at the first service after a pastor’s departure to announce that he and his family made it to their destination and are settling in. A board member can make prior arrangements with your pastor to exchange this information after the move is complete. The first service after your pastor leaves is also a time when the congregation needs to be reassured. They need to know that everything will be alright. You do this by having church leadership briefly discuss the plans for the near future. You don’t need a lot of details. Just give a basic outline of what happens next. What does happen next after your pastor resigns? Start your pastor search.